A few months back we had a family holiday in Dubai and being a food enthusiast I came across something very interesting but very common there. 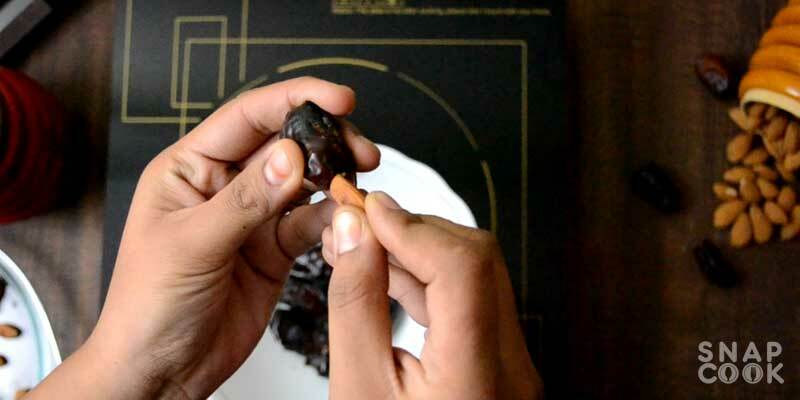 Its Dubai Dates Almonds chocolates. It was so amazing to see so many varieties of same two ingredients chocolate. make a closer version and everyone in the family loved it. 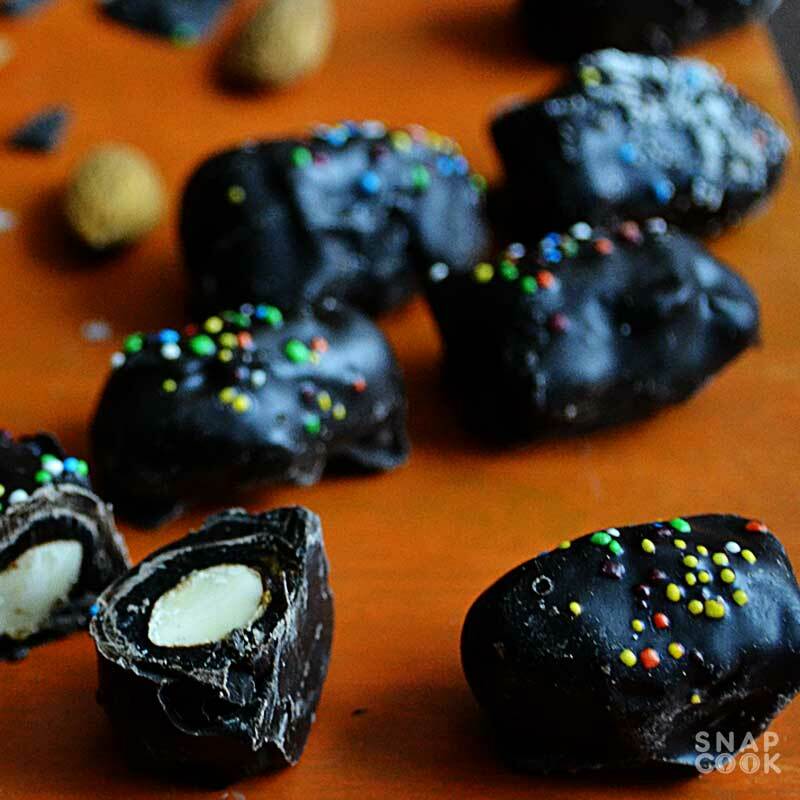 I Think the best part of these chocolates are the two healthy ingredients, Dates and Almonds. I am sure there is lot more that can be added to it. Do let me know in the comments section below if you try this recipe with some new ingredients. 3- Dark chocolate chopped 1 cup. Ya!! That’s It…. Lets see how to make these chocolates. 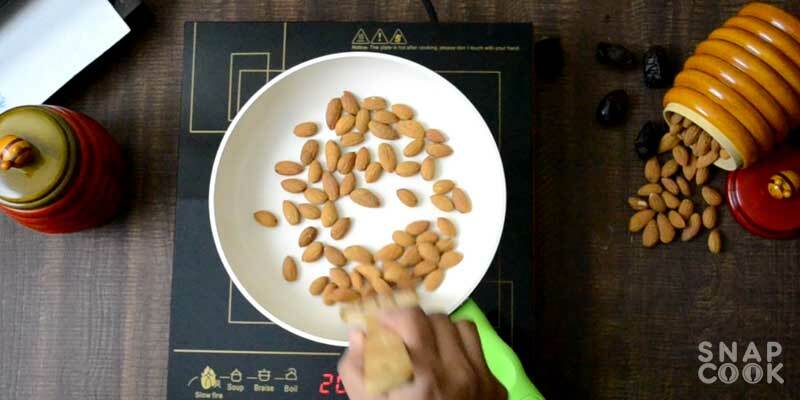 1- Take 1 cup almonds in a pan. 2- Dry roast the almonds and keep them aside. 3- Take 1 cup Dates. Preferably seedless dates. 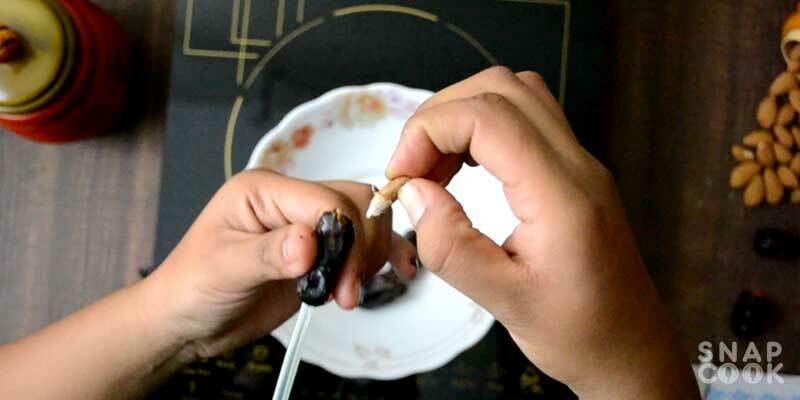 4- If you do not have seedless dates then remove seeds using a straw or just use a knife to remove it. 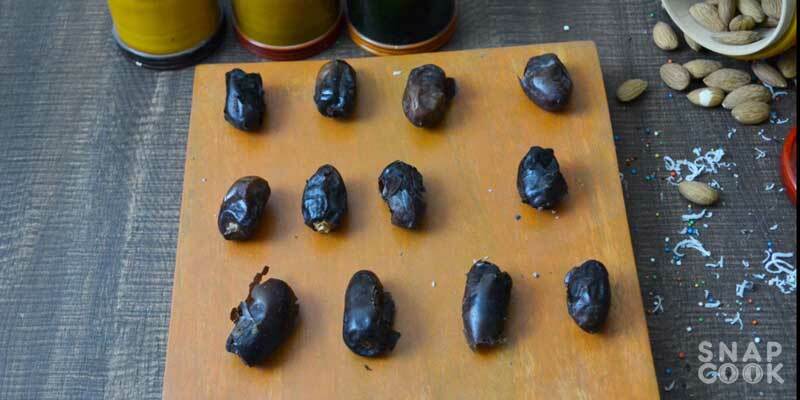 5- Fill one almond in each date. 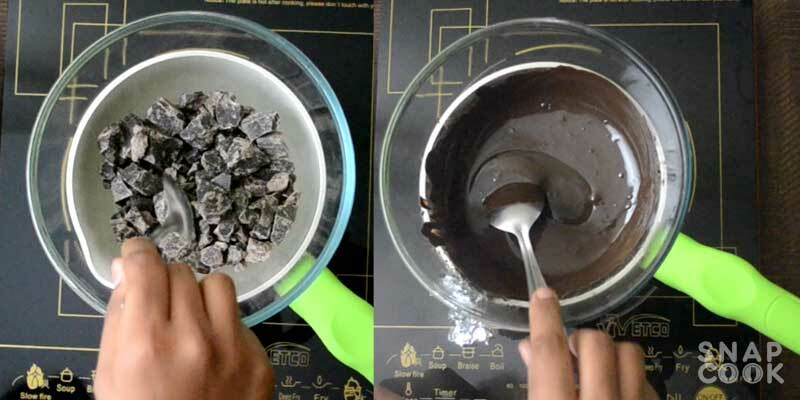 6- Take 1 cup chocolate and melt it using double boiler method or in microwave. 7- Coat the almond filled dates in melted chocolate. 8- Decorate it with shredded coconut or nonpareils or sprinkles and Refrigerate it for 15 minutes. Hit the share icon below to share this recipe with your friends and do let me know in the comments below how this recipe turned out for you. Dark chocolate chopped 1 cup. 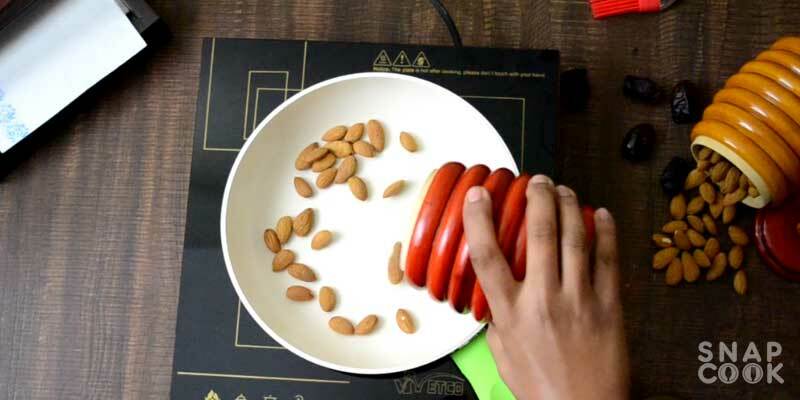 Take 1 cup almonds in a pan. Dry roast the almonds and keep them aside. Take 1 cup Dates. Prefreble seedless dates. If you do not have seedless dates then remove seeds using a straw or just use a knife to remove it. Fill one almond in each date. 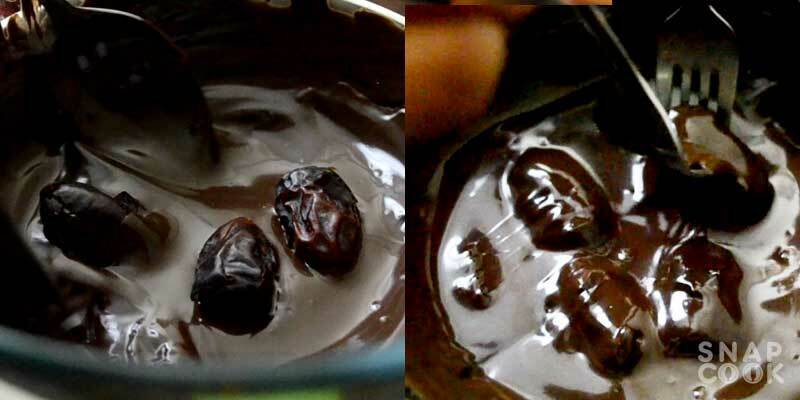 Take 1 cup chocolate and melt it using double boiler method or in microwave. 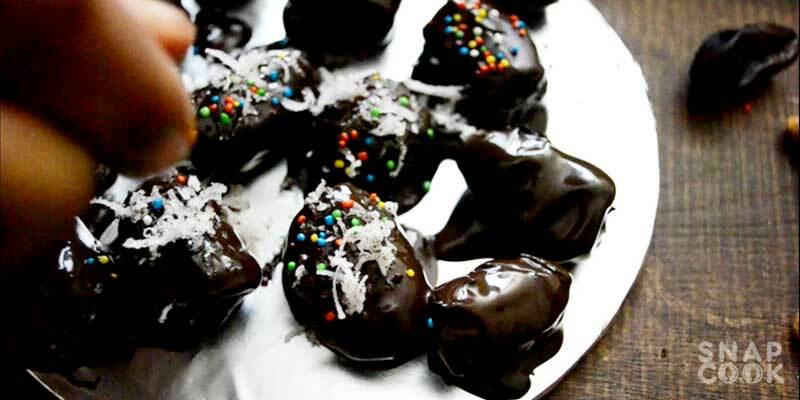 Coat the almond filled dates in melted chocolate. Decorate it with shredded coconut or nonpareils or sprinkles and Refrigerate it for 15 minutes.